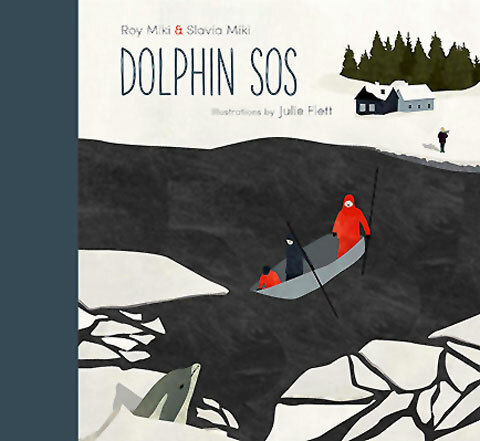 Based on real events, Dolphin SOS is the moving story of how a remote community on the coast of Canada’s Newfoundland came together to rescue three dolphins trapped in their cove by storm-driven sheet ice. End matter includes a factual description of the white-beaked dolphin and a description of what actually happened in February 2009, including the real people involved – which leaves the story to evoke the emotions and suspense of those unforgettable few days. Written by Governor General’s Award-winning poet Roy Miki and his wife Slavia Miki, the story is told through the eyes of local girl Nicole, and its straightforward yet deep simplicity is echoed in Julie Flett’s beautiful mixed media illustrations, which convey the cold of the far north in winter. In fact, Flett’s distinctive artistic style is ideal for conveying the understated but raw emotion of the story. There are hidden depths in her subtle shifts of shading within the whites and greys of the landscape. The depiction of shadows and footprints in the snow, for example, lifts some but not all the collage to convey solidity, and judicious splashes of colour point the way to key aspects of the narrative, most notably in the red of the rescuers’ survival suits. A book that exemplifies the notion of ‘less is more’, Dolphin SOS packs an emotional punch. Any child who loves animals and stories where humans connect with animals (and vice versa) will be passionate about this book. It also highlights dilemmas that touch other areas of society, such as having the courage to do what you know to be right because of what you see before your eyes versus what remote officialdom is telling you to do – so in that sense the book is slightly subversive too, in a good way, I think. See some pages from the book on Julie Flett’s website and read this in-depth interview with her over at 49th Shelf. 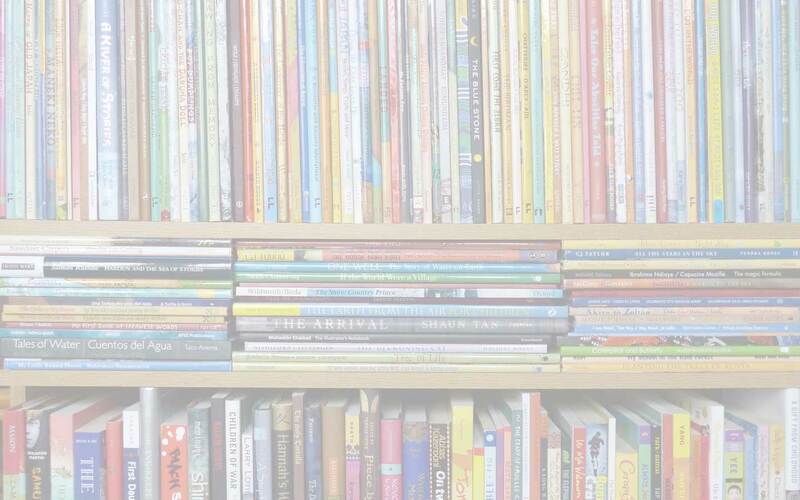 children's books from Canada, Dolphin SOS, fiction based on real events, Julie Flett, MWD book reviews, Richard Cannings, Roy Miki, Slavia Miki, Tradewind Books. Bookmark.